If you haven't planned your weekend yet, you're not alone! 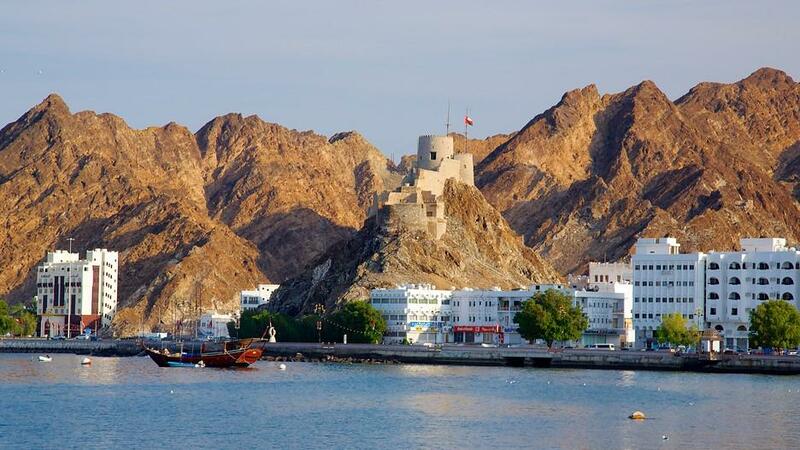 But fear not, we've found a load of things you can get up to this weekend, right here in Oman! What: Avenues Mall is having their very own Warriors Challenge, with a gigantic outdoor inflatable obstacle course taking over the Avenue Mall carpark! Anyone can enter if you're taller than 140cm, and it's free! If you want to get involved, register here! 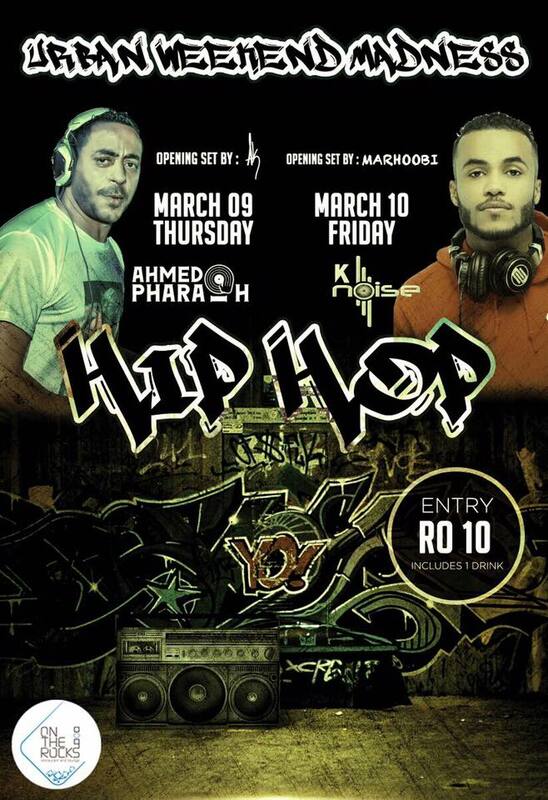 What: On The Rocks bringing you the ultimate battle of the Urban Kings, the legendary Ahmed Pharaoh & AK on March 9th VS. 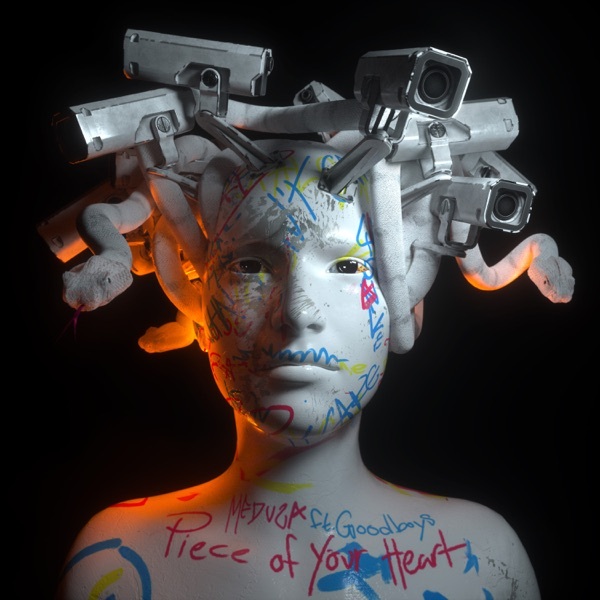 Cool, Kid K Noise & Marhoobi on March 10th! 2 nights entry - 15 rials + 3 free drinks! What: The biggest throwback gig Muscat has ever seen is coming to the Barr Al Jissah Amphitheatre. 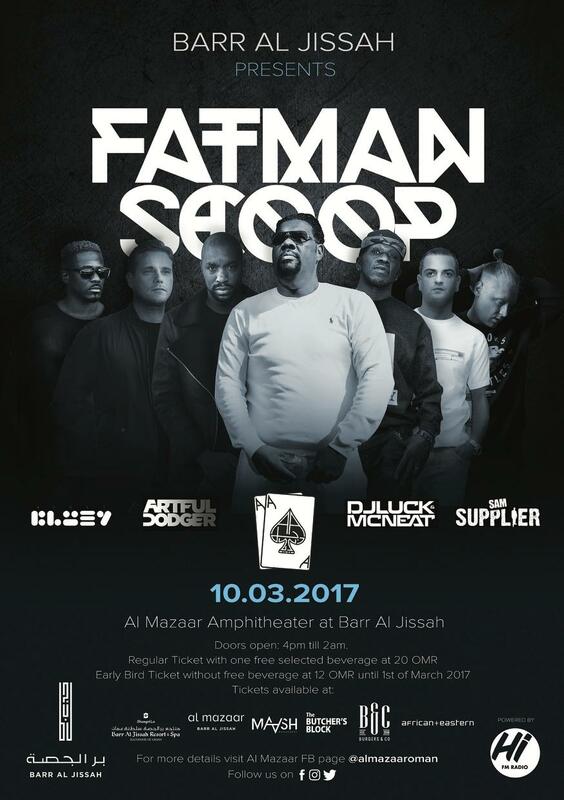 Fatman Scoop, Artful Dodger, DJ Luck & MC Neat, Sam Supplier, DJ Bluey and Oman's very own DJ AA will be performing until 2am! Tickets start from RO20, and you can get them from the following locations: At Butcher blocks, Burger & co, African + Eastern, Shangri-la Barr al Jissah. 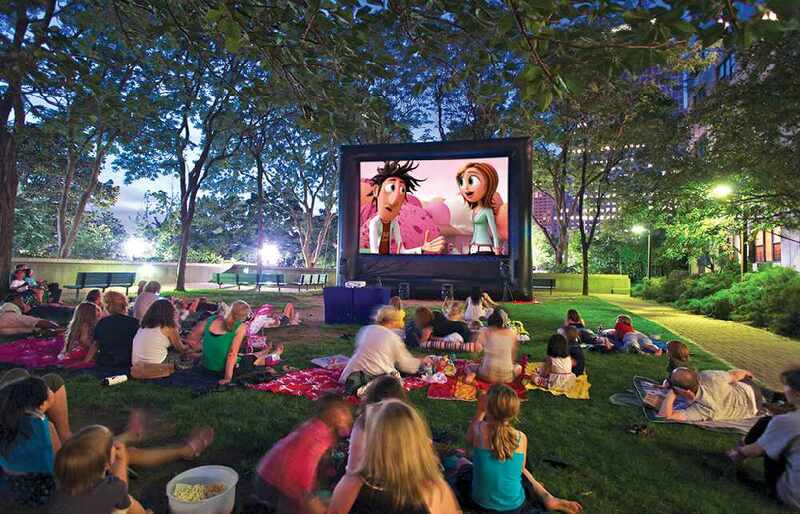 What: Grab a blanket and a camping chair and take your kids to an outdoor movie night! Inclusive of chicken shawarmas, nuggets, sandwiches, hotdogs, fries, popcorn & cookies cosy up with the kids and enjoy a night in - out! Tickets start from RO10 for adults, RO8 for kids over 7, and RO8 for kids under 7. 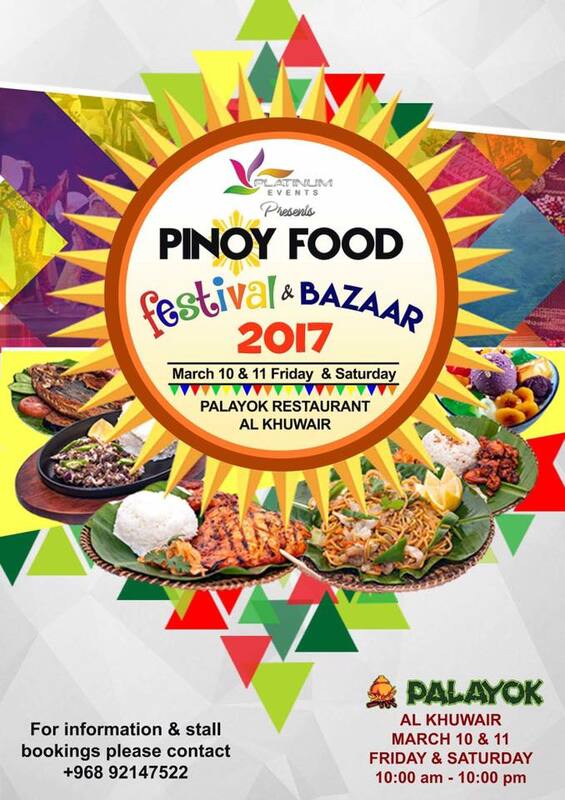 What: Get a taste of the Philippines, at the Pinoy Food Festival. Entry is free, and meals cost as low as RO1! 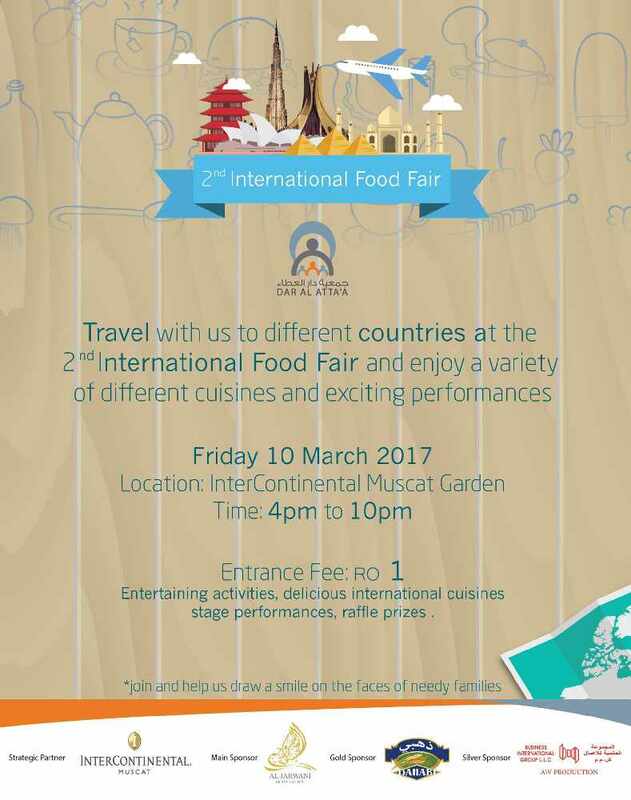 What: If you want to do something great and help out a magnificent charity then get to the 2nd International Food Fair at the Intercontinental Gardens, Muscat. All the money raised will benefit the monthly food supplies program for the underprivileged families supported by Dar Al Attaa.